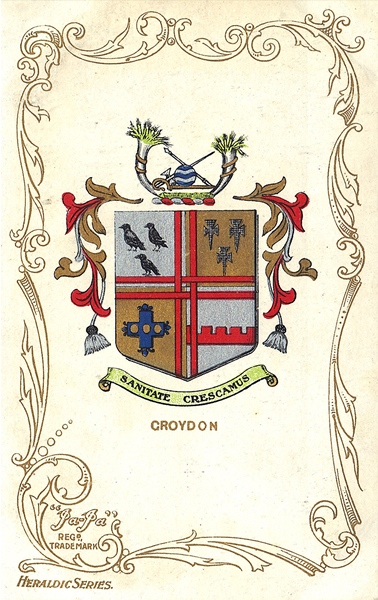 This map covers the NW area of Croydon around the Mitcham Road which runs NW-SE across the map. East of this is suburban development to the London Road, including Canterbury Road, Sutherland Road, Thornton Road and adjacent streets, together with Mitcham Road Cemetery. To the west is a more rural scene, with the Croydon-Wimbledon railway, including Beddington Lane station; Croydon fever hospital; a dog sanatorium; and Beddington Lane. Beddington Sewage Farm is at the west of the map. Other features include a tram depot and a peppermint & lavender distillery. You might find this Index map useful. The map links up with Surrey Sheets 13.08 Beddington Corner to the west, 14.06 West Croydon to the east and 14.09 Beddington & Waddon to the south; also with London Sheet 149 Thornton Heath to the north.